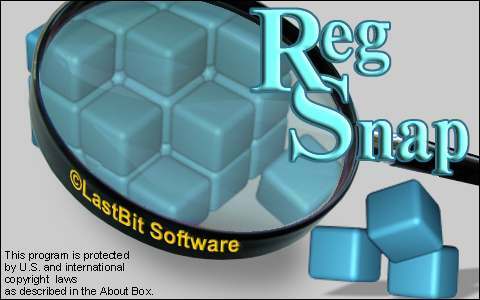 RegSnap is a tool that can help you analyze changes made to the Windows Registry. Using RegSnap snapshots of registry values can be created and compared. This now only allows for a comparison of what all keys were modified, deleted, and/or added but also furnish system critical information, such as file listings say in Windows System directories. Lucid HTML reports are generated. Alongside .reg files are also generated (these are backups of system registry values) using which the registry changes can be undone and any older/changed version can be applied. RegSnap Pro version supports command line interface, Object Linking and Embedding (OLE) Automation (i.e. it could be accessed and used from within other programs of your choice) and can connect to a remote registry. The 'regedit' alike Graphical User Interface (GUI) allows browsing through saved registry values. RegSnap is a "Try-then-Buy" software. This means that we have made the software available to you for free evaluation. You are entitled to evaluate the features of the software for up to 30 days for free. After 30 days, if you like the software and decide to still keep using it, you must buy RegSnap. The free, trial version for first 30 days have these features disabled. They are activated once the software is paid for. Site license is available. A Site license covers computers owned or leased by a single company or organization in a single metropolitan area.